Summer is the perfect time of year for you – and your kids – to hone those tennis skills. 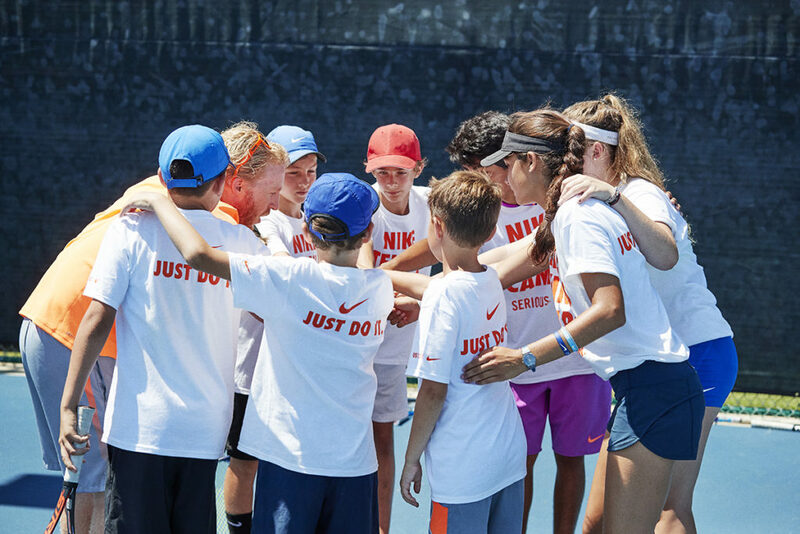 Warm weather, more daylight hours and the camaraderie that comes from learning the game with others at your skill level makes summer tennis camps the perfect pastime. Moreover, you’ll have the opportunity to work with world-class coaches at top-notch facilities. See our list of local and regional tennis camps, and then start making plans to improve your game. You weren’t planning on stashing your racquet until the fall were you? ACE Tennis Academy is located at the Fields Club in Peachtree Corners. Jeff Weaver and his staff have been developing top-ranked juniors since 1994. ACE players have won more than 35 national titles, including 12 Gold Balls (national championships). Camps begin the last week of May and continue through mid-August. For the summer, ACE offers Morning Camps and Full-Day Camps for players of all levels. Pre-register for three weeks and receive the fourth week free. For more information, visit acetennisacademy.net or email kathy@ACETennisAcademy.net. 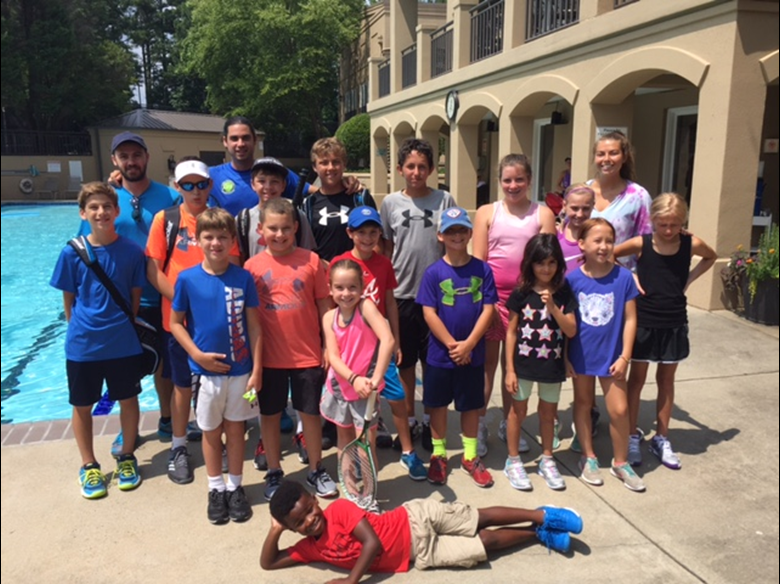 The 2018 Ginepri Performance Tennis Academy’s junior summer camp program at Olde Towne Athletic Club in East Cobb/Marietta, incorporates USTA’s Net Generation training tools and provides campers with a disciplined approach to learning and improving each child’s tennis game. Sessions are limited to 30 campers per week. Campers are grouped based on age and ability, and will learn the training methods and practice habits required to become accomplished players. 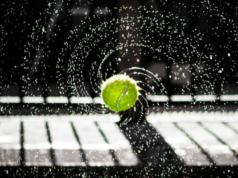 Two indoor courts guarantee campers’ tennis activities rain or shine. The Ginepri Performance Tennis Academy camps are under the direction of Julius Robberts, who offers a unique blend of fun, excitement and expertise. Camp runs daily from 9 a.m. – 2 p.m. After care available from 2 p.m. – 4 p.m.
$335/week – 10% discount for early sign up by March 31! For more information, visit http://gpttennis.net/, or call 770.578.9901. 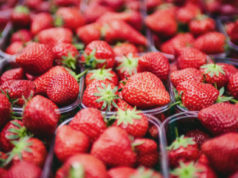 Life Time Tennis at Peachtree Corners is a premiere destination located on 23 acres with 32 courts, including eight climate-controlled indoor courts. The world-class coaching staff will host excellent summer camps for all levels to maximize your kids’ potential while having a great time! Swim & Tennis camp includes full-day options with tennis instruction, swim, arts and crafts, STEM projects and athletic activities to keep the kids active while having fun. The camp also offers a high-performance camp for tournament players looking for higher-level training. In addition, Life Time provides a top-notch Full-Time Academy in the summer for elite junior players aspiring to play on the pro tour and/or play Div. I, II or III college tennis. In addition to kids’ summer camps, Life Time has great programming for adults too! Enjoy a variety of drills ranging from 2.5 – 5.0 levels. The Georgia Bulldog Tennis Camp is held at the University of Georgia’s Dan Magill Tennis Complex, the same facilities that perennially host the NCAA Tennis Championships. Campers will stay in one of UGA’s air-conditioned dorms and will be provided healthy, well-balanced meals. Coach Manuel Diaz and his staff provide campers with the same championship instruction he utilized to lead the Bulldogs to the 1999, 2001, 2007 and 2008 National Championships. 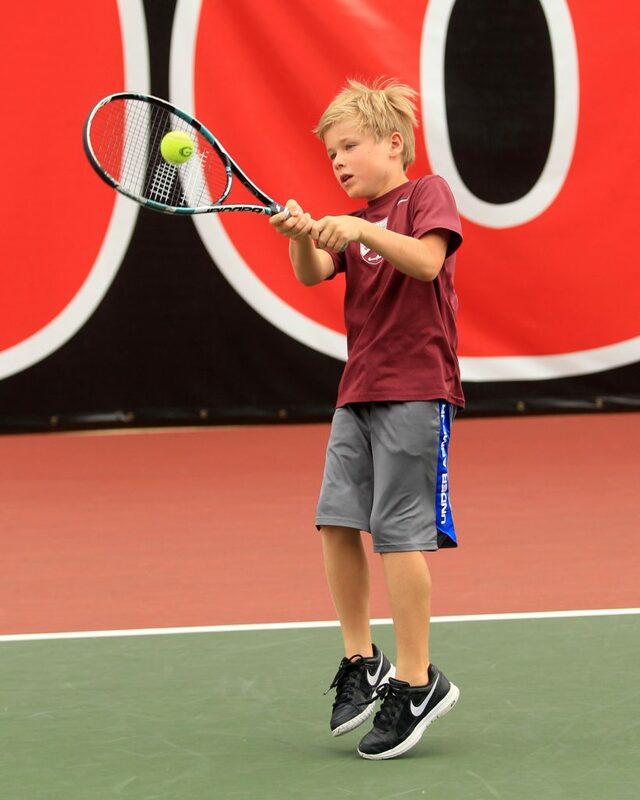 The Bulldog Tennis Camp will provide instruction for every level of play. For the beginner, basic fundamentals and stroke production will be emphasized. For the intermediate players, refinement of the fundamentals: footwork, grips, strokes and strategy will be stressed. The advanced players will be trained at the same intensity level and similar drills used for the Bulldog college players. Along with match play and conditioning, the emphasis is in challenging the campers regardless of their level of play. For more information, contact Lynn Steedman at 706.542.9348 or bulldogtennis@sports.uga.edu. 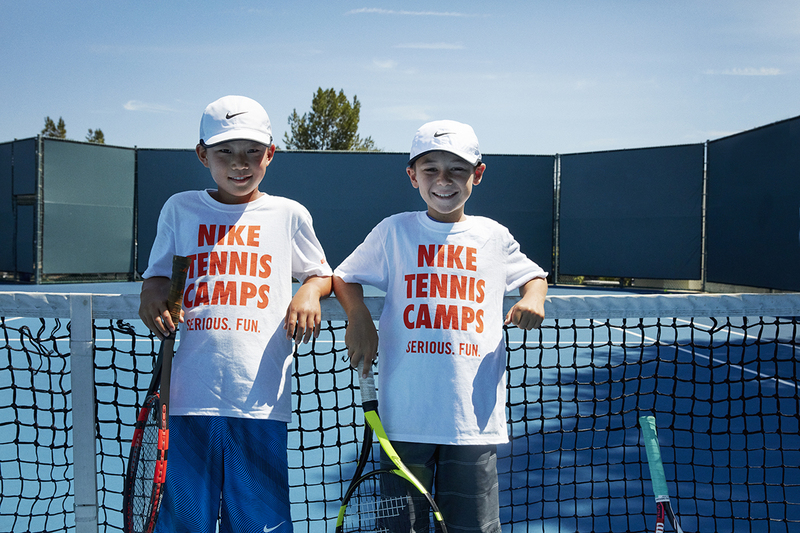 Nike Tennis Camps provide players the opportunity to improve their tennis game, work hard, make new friends, and have a lot of fun. Camps are directed by America’s most respected college coaches and tennis pros who have a passion for teaching and a gift for helping you take your game to the next level. Some camps also offer high school and tournament training programs. Players can look forward to personalized on-court instruction, programs for every skill level, and improving their game in fantastic tennis venues and overnight accommodations. For more information, visit http://ussportscamps.com/, or call 800.645.3226. 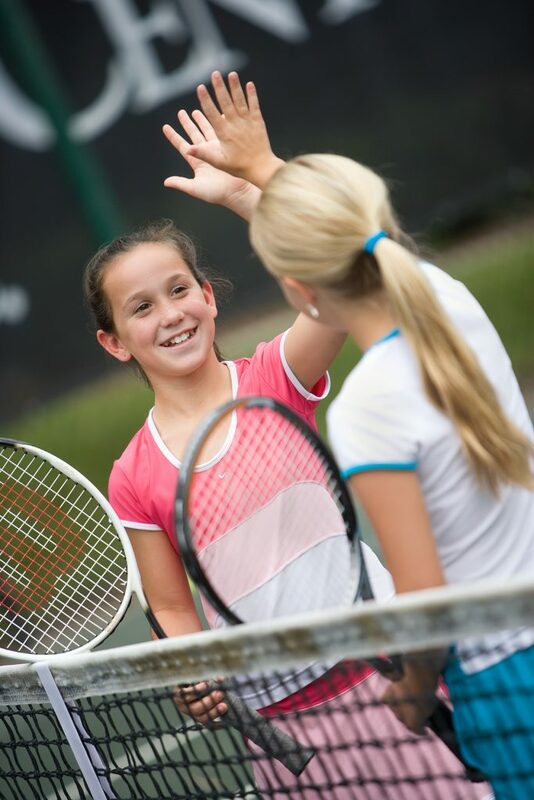 During the Palmetto Dunes Junior Tennis Camps on Hilton Head Island, coaching sessions emphasize stroke production, with a focus on technique, footwork and strategy. Customizable family packages, including accommodations, court time, lessons and clinics, are available. The tennis center has 23 clay tennis courts and eight pickleball courts. It is ranked the No. 1 tennis resort in the Carolinas. 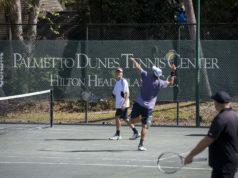 Palmetto Dunes is also among the Top 10 best tennis resorts worldwide and has ranked No. 4 in the world for junior programs. Monday – Friday 10:00 a.m. – 12:30 p.m.
For more information, visit www.palmettodunes.com/net-news, or call 843.785.1152. Legendary women’s Head Coach Nancy Harris, along with her pro staff, including junior Grand Slam, All-American and NCAA winners, continues Clemson’s 100-plus years legacy of outstanding junior tennis programming with one of the most innovative co-ed camp experiences in the country. Set against the panorama of the Blue Ridge Mountains, Hoke Sloan Tennis Center’s 21 outdoor and four indoor courts are the perfect setting for campers of all ages and skill levels to engage in drills, on-the-court instruction, match play and classroom sessions customized to their individual play level. Campers are evaluated at the outset of camp and placed in White Camp, Orange Camp and Orange Crush or Top Tiger Skill groups. Top-notch tennis instruction is complemented with fun, off-the-court activities. 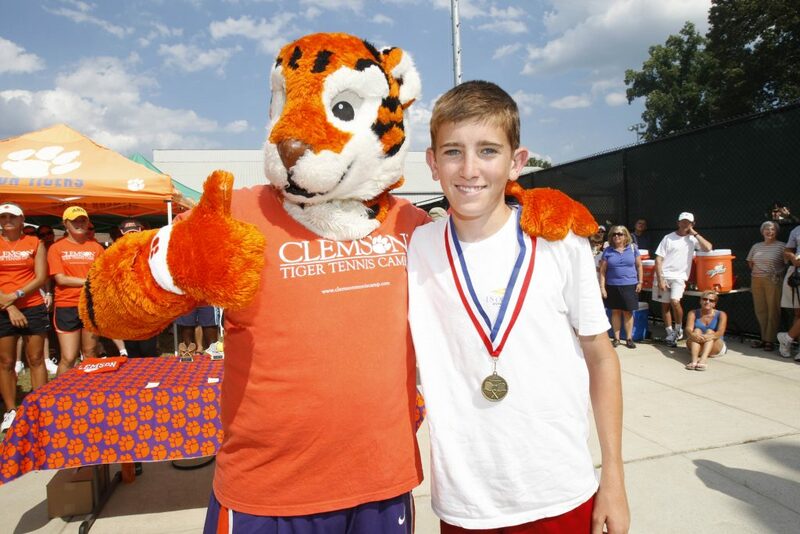 For more information, visit tigertenniscamp.com, email info@TigerTennisCamp.com, or call 864.985.3969. Peter Howell, Hall of Fame Tennis Coach at Oglethorpe University in Atlanta, Georgia, returns as the director of this excellent Junior Tennis Camp for the 15th year! Parents and campers have raved about this camp, and more than 55 percent of attendees return year after year. The camps stress solid fundamental groundstrokes, volleys, serves and especially playing the game! Match play, drills and fitness are coordinated in each daily plan done in a fun environment. For more information, contact Peter Howell at phowell@oglethorpe.edu, or 678.644.9263. Register online at peterhowelltenniscamp.com. Universal Tennis Academy (UTA) in Atlanta is excited to offer summer tennis camps throughout Atlanta. UTA has trained all levels of players, from ALTA champions and NCAA champions to touring professionals in a fun, exciting and educational environment. 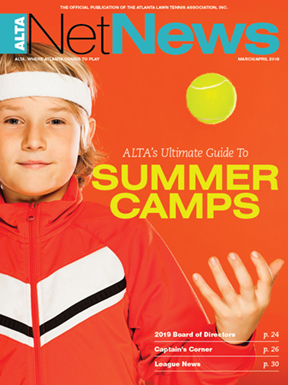 UTA Tennis camps are offered at the following locations: Bitsy Grant Tennis Center, Blackburn Park Tennis Center, Brairlake Church, Chastain Park Tennis Center, James Creek Tennis Center, Lost Mountain Tennis Center, McGhee Tennis Center, Piedmont Park Tennis Center, and Washington Park Tennis Center. UTA holds summer camp every week of the summer, starting the week of Memorial Day. 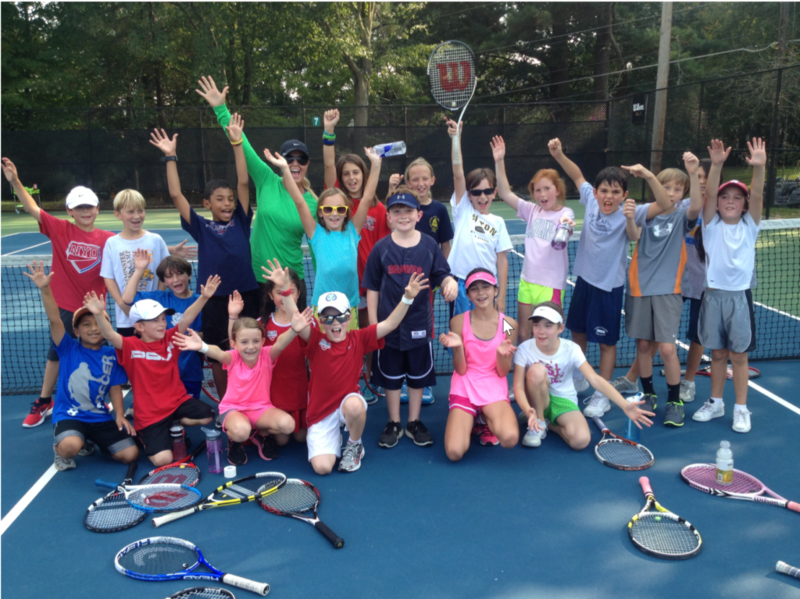 Both half-day and full-day tennis camps are offered, including a tennis/swim camp at Chastain Park and Piedmont Park. For more information, visit http://utatennis.com/, or call 404.497.0680. Van Der Meer Tennis Center (VDM) junior tennis camps run Sunday through Friday, offering 25 hours of technical and tactical training from our world-class international staff. Learn from former ATP, WTA, Davis Cup, Fed Cup and top collegiate players, all of whom have gone through Dennis Van der Meer’s famous TennisUniversity course. Located one block from the beach, our students take full advantage of the sand for aerobic and anaerobic fitness training, as well as fun runs and beach soccer, etc. And the warm Atlantic Ocean provides a great cool-down! Take your game to the next level this summer at VDM! For more information, call 800.845.6138, or email jim@vdmtennis.com. 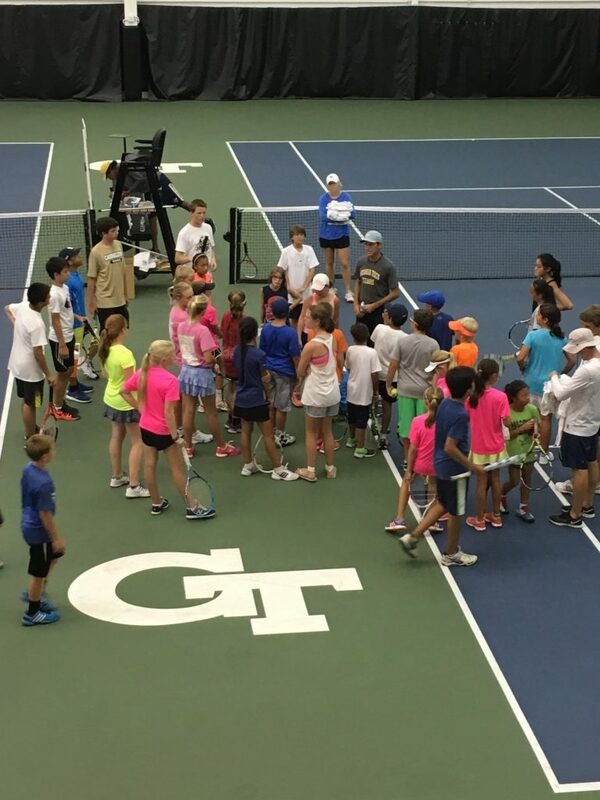 The 2018 Yellow Jacket Tennis Camps at Georgia Tech aim to enhance each camper’s skills through morning instruction and afternoon match play. The camp in midtown Atlanta will stress the importance of sound fundamentals and strategy. Full day camps and overnight camp are available for boys and girls ages 9-18. A half-day option is available for ages 5-8. A $25 early-bird discount is available through May 1 for the full day and overnight camps. For more information, visit http://yellowjackettenniscamp.com/, email contactus@yellowjackettenniscamp.com or call 404.840.3451.